This Zion Canyon leather cross body purse is just the bag your clients need to stay chic and organized! The five different zippered pockets will keep them organized while they are on the go - from desk to dinner. 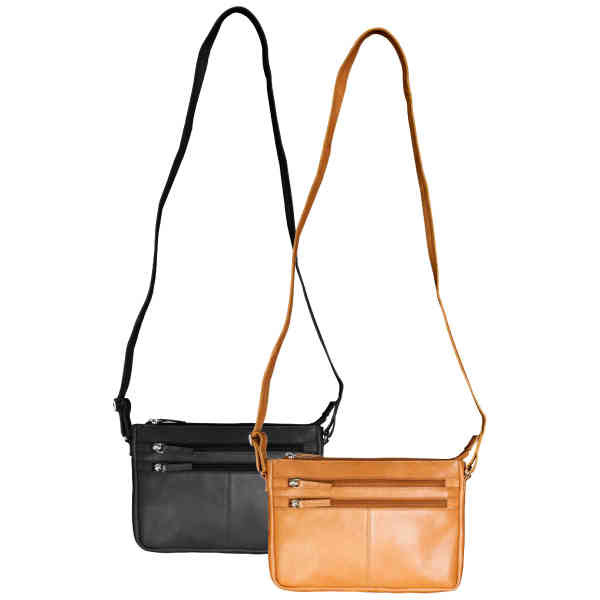 The strap adjusts from 27" to 47" long, so it can be used over the shoulder or as a cross body bag. Before handing it out to valued customers, add a unique imprint of your name, logo or marketing message to make sure that your brand is on full display as recipients carry it with them throughout their day!